Kemp Kernstine, M.D., Ph.D., trained for 11 years to become the subspecialty surgeon he is today. Now, one of a few general thoracic surgeons associated with an academic medical center in North Texas, the expertise he offers is crucial for patients with conditions involving the lungs, esophagus, mediastinum, or chest wall. Dr. Kernstine is Professor and Chief of the Division of Thoracic Surgery at UT Southwestern Medical Center and holds the Robert Tucker Hayes Foundation Distinguished Chair in Cardiothoracic Surgery. He completed his undergraduate and medical studies at Duke University. His internship and general surgery residency training were at the University of Minnesota in Minneapolis where he completed his Ph.D. as well. He pursued further training in heart and lung surgery at The Brigham and Women’s Hospital, Harvard Medical School, as a general thoracic track resident. Board certified in surgery and thoracic surgery, Dr. Kernstine has numerous professional affiliations that include the American Medical Association, the American College of Surgeons, the American College of Chest Physicians, the American Thoracic Society, the American Association of Thoracic Surgeons, the Society of Thoracic Surgeons, the Society of Surgical Oncologists, the Western Thoracic Society, and the International Society of Minimally Invasive Cardiothoracic Surgeons. He has served in numerous leadership roles of many of these societies. 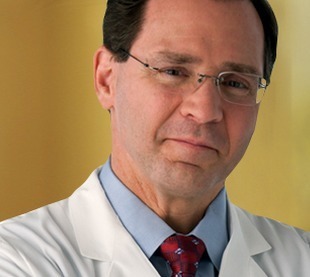 In addition to his clinical work, which involves the surgical management of a wide spectrum of benign and malignant diseases of the chest often treated with robotic surgery, Dr. Kernstine has strong research interests in minimally invasive and robotic surgical procedures, as well as the surgical evaluation and treatment of lung and esophageal cancer, mesothelioma, and thymic cancers. He has also studied the treatment of benign esophageal disease such as esophageal masses, achalasia, hiatal hernia, and gastro-esophageal reflux disease and is interested in the study of thymectomy in the treatment of myasthenia gravis. Dr. Kernstine has received funding from the National Cancer Institute and various regional and national grants and has published numerous articles, abstracts, and books on lung and esophageal cancer and chest surgery. He is both nationally and internationally recognized for his work. As Professor and Chief of the Division of Thoracic Surgery and a leader on the lung cancer treatment team, Dr. Kernstine focuses on the surgical management of a wide spectrum of benign and malignant diseases of the chest and coordinates care with other physicians and team members throughout Simmons Cancer Center and UT Southwestern.